So I’m off to meet some creative writers & book clubs members to chat about writing, publishing and the creative process. If you are near Cobh Library on Saturday the 23th of July from 2- 4 pm you are all very welcome to join me for this free event. I’ve been invited to be part of this wonderful festival. I’m looking forward to the event and spending time with authors and readers alike. 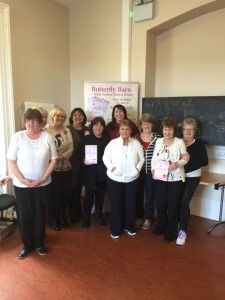 Next Butterfly Barn Experience Event at Tramore Adult Education Centre on Tuesday April 18th. I hosted the very first Butterfly Barn Experience. In my imagination Butterfly Barn is a place where people come to rediscover their strengths, try out new things, and have fun. Since I don’t have a physical place, I thought why not bring the concept to other venues. Contact me at karenpowerauthor@gmail.com if you’d like me to come to your group, school, college, organisation or business. The launch of On Butterfly Wings on Friday the 27th of November 2015. Ireland’s first National Baby Loss Awareness Day on the 15th of October 2015. I was so honoured to be among the invited speakers. It is an issue very close to my heart, a veil of silence so often surrounds it. 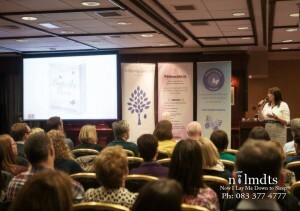 Thanks to Feleacain, The Miscarriage Association of Ireland and Etopic Pregnancy for organising the event. And to the many other bereavement charities who provided stands and information to the attendees. It was a privilege to speak at Waterford Library as part of Literacy Awareness week for the launch of “Love to Write” a compilation of stories from adult learners based in the city. Here’s the link to my speech. 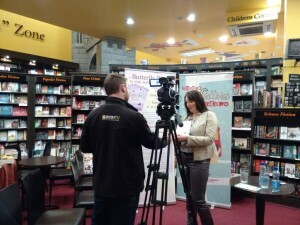 I was delighted to be featured on RTE Nationwide. I was a fantastic experience for us as a family. 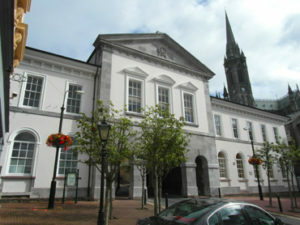 I spoke at Waterford Writers Weekend at The Book Centre, Waterford. A big thank you to Stephen from Irish TV for his interview. The beginning of this amazing journey.